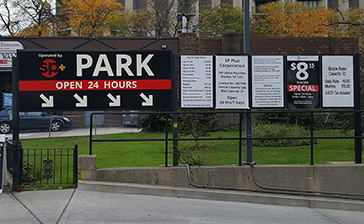 Parking.com has convenient parking near Brooklyn Bridge Park. Refer to the map for more information on parking. Brooklyn Bridge Park is an 85-acre waterfront park along the East River in New York City. 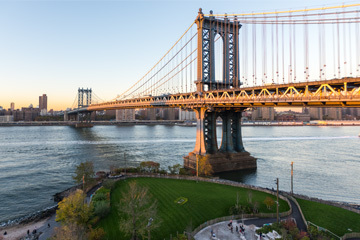 The park features panoramic views of Lower Manhattan, and is home to many attractions, including a dog run, volleyball courts, playgrounds, carousel, and piers connecting to the Governors Island Ferry, East River Ferry, and New York Water Taxi.